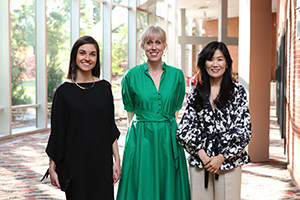 April 26, 2019 at 6 p.m.
Honorees at Grady Salutes 2018 included Alumni Award winners Polina Marinova, Ashley Huston and Jisu Huh. Sally Yates accepted her award in absentia. Grady Fellowship honorees Melita Easters, David Hazinski, Lisa Ryan Howard, Cully Clark and Lee Thomas. 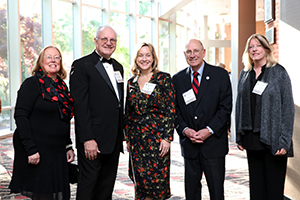 The annual Grady Salutes event recognized honorees of Grady College. Barry Hollander, a revered professor who died in 2018, was inducted posthumously into the Sanford Circle.